Home / General Time Management / You don’t have to throw a fit when you throw something out. You don’t have to throw a fit when you throw something out. In the August, 2018 issue of Psychology Today, Glen Adamson, author of the book, “Fewer, better things” is said to believe that we should limit our purchases to things we find to be beautiful, meaningful or useful. Since at least two of these three requirements are in the mind of the purchaser, this tells me that anything goes. It may be a sensible suggestion; but does little to curb my spending habits nor reduce any clutter that may appear in my small apartment. Marie Kondo, author of the book, The life-changing magic of tidying up and spark joy, urges us to get rid of anything that doesn’t spark joy. 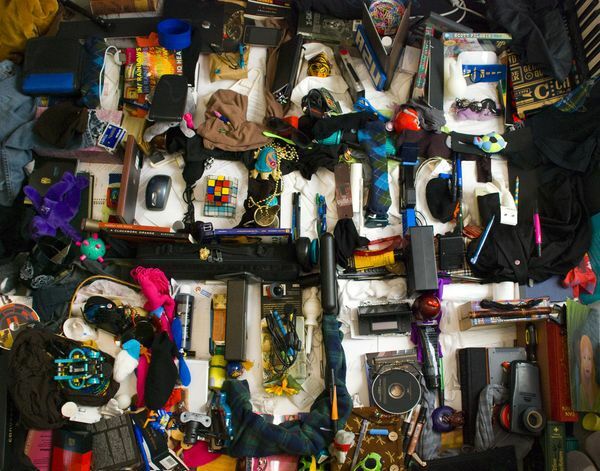 But depending on your mood at the time, this could prompt you to discard everything you own. And according to an article by Sara Eckel in the same issue of Psychology Today, at least one woman later regretted that she had parted with her beloved books and her late father’s favourite radio. Stories like this that make me thankful that I limit my coaching of individuals to helping them manage their time as opposed to managing their possessions. The two are certainly related. The more possessions you have, the greater the demand on your time. But at least I feel no guilt in letting them make their own decisions when it comes to tossing stuff. I have great respect for those professional organizers who help people make decisions as to what to keep and what to toss. We are complicated beings, and it seems impossible to get inside our heads and analyse our thought processes. For example, I couldn’t even begin to fully explain why I could never part with that vintage 1930s typewriter on my credenza even if I were offered $1 million for it. Possessions do not necessarily equate to clutter. I have a locker full of possessions that I refuse to part with. I can visit them at any time – without them interfering with my efficiency or effectiveness while I am working in my home office. I realize they will be quickly discarded by my children when I’m gone; but they are my security blanket. They ensure me that I have led a life of significance. I will always have a past, even though I may someday be unable to recall it. I have had friends, experiences and accomplishments – and have loved and been loved. This allows me to concentrate fully on the present, continuing to do what I love doing, and making new friends, having new experiences, and continuing to lead a life of purpose. Having said all this, people should listen to all the advice they can get, and some of that may resonate with their own beliefs and help them make their own decisions. For example, here are a few thoughts and ideas I have culled from books and articles such as those mentioned above. Living with less stuff has made many people more clear-headed and content. Lugging bags of usable stuff to thrift shops such as those of the Salvation Army, might leave you feeling warm and fuzzy. It certainly provides a service to others. You are not being disrespectful of someone, whether living or dead, if you toss something they gave to you. They live in your heart, not in the object. Having less stuff in your home, all of which consume time and space, can improve communication and allow you to focus on what is truly important in your family. For every item that holds special meaning to you, there are likely a dozen or more that don’t. If you made an error by purchasing something, don’t compound the error by keeping it. A certain amount of clutter is normal; but its continued growth is unhealthy. Consider nipping it in the bud. On a more personal note, I find that I work and live much better in an organized, clutter-free environment. And the few things I have tossed and later regretted were more than offset by the hundreds of things I got rid of and never missed. Wisdom does not devalue with time Working from home can boost your productivity Creativity is all in your mind Creativity and organization are not incompatible. Previous post: Fatal phrases at the front and finish of meetings. Next post: Does deep reading differ in digital?